No Fees. No Commissions. No Closing Costs. No Hassles. No Obligation. FAST Closing. Get the process started by filling out the short form. 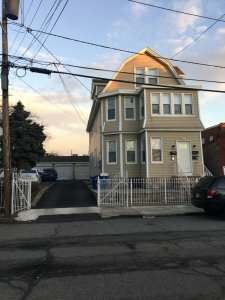 I sold my property on Goodwin Avenue in Newark, New Jersey to Andrew from Ideal Development. He handled the deal very professionally, took care of all the city documents needed to close and everything was done through an attorney so I didn’t have to much stress. They are a easy company to deal with and I was glad that they were a local buyer and going to keep the house long term. If you want to sell your Newark house… we’re ready to give you a fair fast all-cash offer. Stop the frustration of your unwanted property. Let me buy your New Jersey house now, regardless of condition. We can buy your New Jersey house. Contact us today! We help property owners just like you, in all kinds of situations. From divorce, foreclosure, a death of a family member, burdensome rental property, and all kinds of other situations. We buy houses in New Jersey… including Newark and surrounding areas and pay a fair cash price, fast. Sometimes, those who own property simply have lives that are too busy to take the time to do all of the things that typically need to be done to prepare a house to sell on the market… if that describes you, just let us know about the property you’d like to be rid of and sell your house fast for cash. Sell Your Newark, New Jersey House Quickly For CASH and without hassle or obligations. PROMISE! We have been a local home buyer in the Newark, New Jersey and surrounding areas for over 20 years. We are the direct buyer unlike many of the other so-called “home buyers”. We are the ones who answer the number you call and we come and see the home. Its personal service and we will listen to your needs. We are the experts in buying older homes in any condition. We buy the property in any condition. If you are losing your home do not hesitate to call us to discuss your situation. We are cash buyers local to the area. We answer the phone and show up on time ready to make an offer!